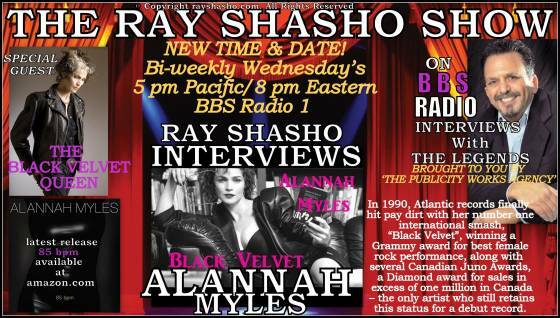 Alannah Myles the Voice of Mega-Hit "Black Velvet"
Very special thanks to Christian Michaels Managing Director and of course Doug & Don Newsom with BBS Radio for making it all happen every show! 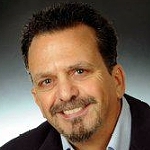 Join me bi-weekly at our new time and date … Bi-Weekly Wednesday’s at 5 pm Pacific and 8 pm Eastern on The Ray Shasho Show. 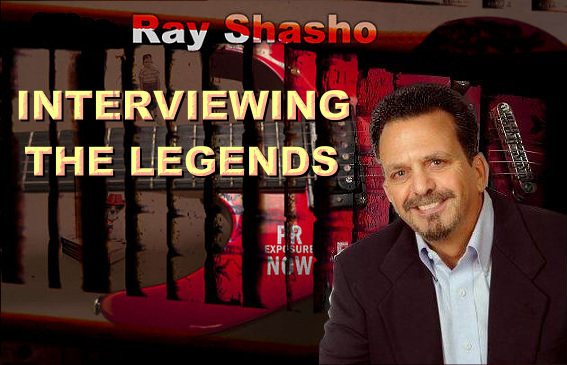 If you have comments or suggestions or would like to be a guest on The Ray Shasho Show email us at ray@publicityworksagency.com. Alannah appeared as an actor in TV commercials, modeled, styled wardrobe for local celebrities, worked as a makeup artist and consultant to pay for her early demo tapes in attempts to secure a record deal for her team. 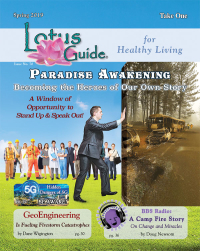 Though she was born to a privileged family, she chose to remain independent. After a decade of paying dues; performing concert venues, drinking establishments, nightclubs, coffee houses and hotel bars she spent five long years recording her debut album released by Atlantic Records (Warner Music Group). Plans to tour Europe beginning with classically orchestrated concerts backed by conductor Friedemann Riehle for the Prague Philgarmonic Orchestra began in the fall of 2015. Expect to hear more music and news in her 28th Anniversary season of 2018..